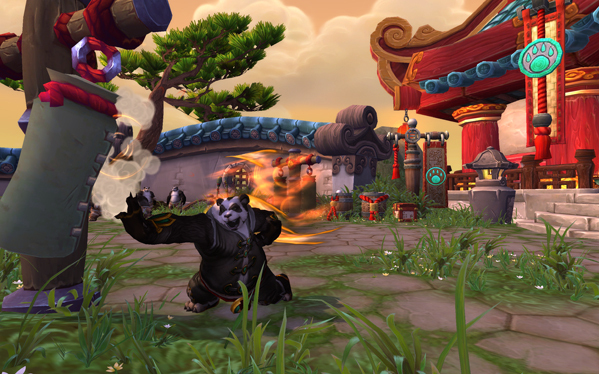 The monk uses at any given time two resources: Brewmasters and Windwalkers use chi and energy, while Mistweavers use chi and mana. Wait a second, what is chi you say? That’s new! Yes it is. 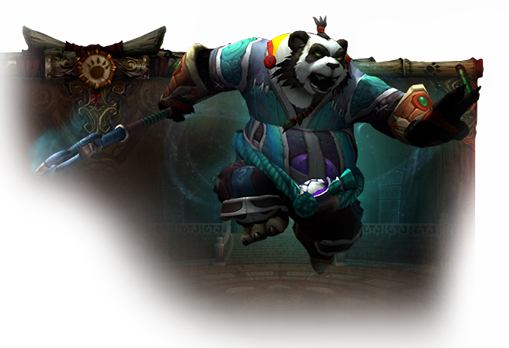 Chi is the new resource created for the Monk class. You can have up to 4 chi (5 if you take the level 45 talent Ascension) at any time provided you have used the appropriate ability to generate it. Unlike a Rogue’s combo points and a Paladin’s holy power, chi does not deteriorate over time or expire due to end of combat. Energy works just like on a Rogue and refills over time. On the gearing side of things Monks are fairly old hat ideas just thrown on a new class. Brewmasters will gear like feral/guardian Bears and generally are encouraged to use an agility staff or polearm; Mistweavers will gear like a resto Druid with a intellect/spirit staff; and Windwalkers will gear like Rogues or feral cats and encouraged to dual wield fist weapons or 1h swords, maces, and axes of the agility variety, though they can also use polearms and staffs. I don’t want to get too far into actual abilities, as much of that has changed and is still subject to change before and even after launch; however there are a few things that stick out that I’m confident to say will be around. Each spec has it’s own stance very much like a warrior and most of the combat abilities are based around these stances as well, requiring you to be in one or another to use specific actions. Now the fun stuff: Monks have a mobility action called “roll”. 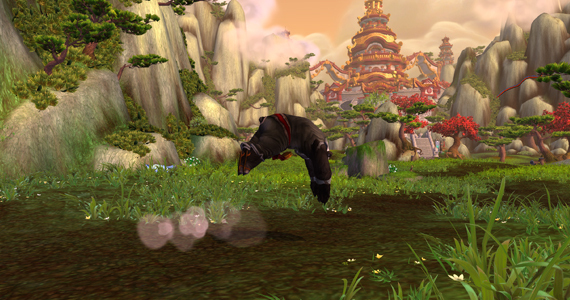 It looks best on Pandaren to me, however all Monks get it. Roll lets you, well, roll a short distance from where you were. It has 2 charges so it can be used back to back to avoid things or just get around faster as you roll faster than you walk; very useful in many situations. Once those charges are used it incurs a small cooldown, but nothing so terrible as to make it useless. Get used to this one. You’ll be seeing it a lot. The best thing to compare it to would probably be a Mage’s ‘blink’ spell. Beyond that Monks have another ability that’s likely to get overlooked after awhile, but in concept is very cool. Fighting style changes the Monk’s animations and basic melee attack ‘jab’ based on the current weapon they have equipped. Again nothing fancy, but just enough TLC to show in my opinion the devs have really put their time and efforts into this class. Personally I’m looking forward to this class more than my main (Prot Paladin) and can’t wait to have a new fun class to play around with within the next few months. Next time I’ll take a look at some of the major systems changes and new features added in Mists. Remember this Thursday August 16th is the premier of the new cinematic from Gamescom in Germany. I might even throw up just a small story for that if it’s pretty (of course it will be).